I was active in doing my YouTube channel last year and things were going well, then the summer happened with it's choas with five kids and adventures so I didn't film. Then I got sick due to lack of sleep and trying to do too much. This school year has been a challenge with five kids in five different schools--two high schools, one middle school, one elemenetary, and one pre-school! But we are nearing the end and I have hopes to return to blogging, youtubing, and getting in some 'me' time. My Kickstarter last year was unsuccessful so I didn't get to bring Trouble with Monkey's into the world ---yet! One of my good editor friends helped me with a new blurb since now I get to put my book on Google Books and soon my ePub on Google Play. 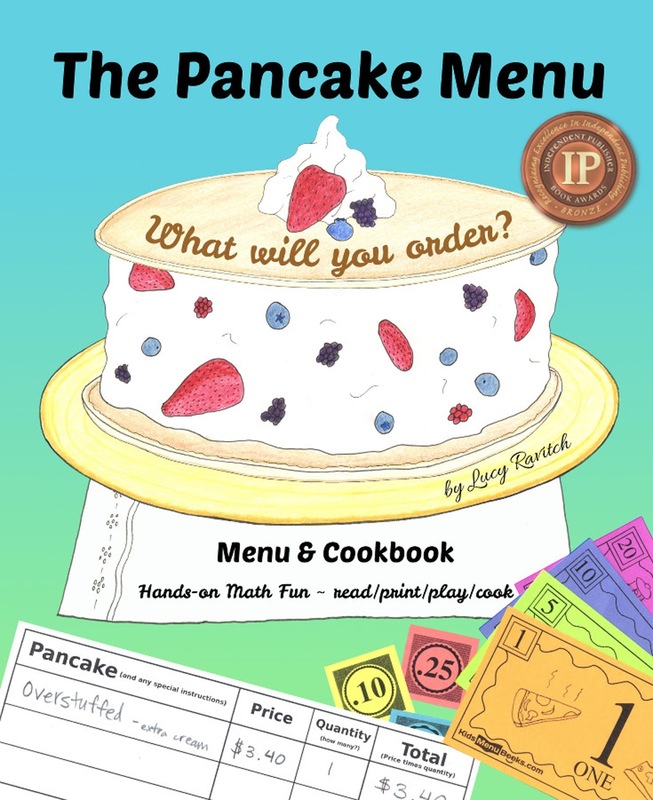 The Pancake Menu by Lucy Ravitch is an award-winning interactive picture book that allows kids to learn important math and personal skills while playing restaurant! Children are given a hardbound “menu” listing pancake specials, complete with colorful illustrations and silly rhymes. Kids may play alone, and see what they’d like to order or come up with a new pancake idea! Or they can play in a group, taking the roles of diners and wait staff. Some children enjoy playing chef, ready to “cook” or draw a tasty imaginary breakfast. 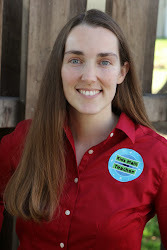 The book will delight and entertain kids of all ages, including special needs groups, math fans, teachers, and parents. It makes an educationally fun rainy day activity. It’s great for play-dates with a flair of dramatic play. Teachers enjoy using it for a multi-purpose math center station students love. Parents and teachers enjoy how easily kids learn currency, counting, multiplication, division, calculating percentages (don’t forget the tip!) and social skills through play. Each pancake featured comes with a photographed recipe/direction page printed inside fold-out pages. Once play is done and it’s time to eat, kids and their parents can get hands-on experience cooking and measuring ingredients. The Pancake Menu includes optional play money. FREE order sheet templates and printable “Menu Money” are available anytime on www.kidsmenubooks.com. There, parents and teachers can also find a list of Common Core State Standards (CCSS) ideas by grade level. 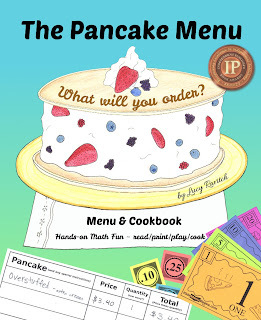 The Pancake Menu was featured on Good Morning America in April 2015, three months before its July release, and received an IPPY award in 2016. The book is suitable for children 2-12 years old. Children 7-12 will be able to play independently, while younger children will enjoy the pictures and rhymes, but may need assistance with interactive play. Although Menu prices are set, they can be customized with sticky notes or drawn over with a dry erase marker--in order to simplify counting for younger children, or give an extra challenge for tweens. Sturdy laminated pages extend the life of the book, making it an exceptionally durable play tool. Sounds awesome right! So, if you already own a copy make sure to leave a review somewhere and for your info here are the various outlets you can get a copy... in no particular order. Barnes & Noble (let's keep bookstores open)--The Pancake Menu is backordered but you can add it to your wish list just to let them know there is demand for it. It is available for electronically for Nook! Amazon I ship the book to them and then they ship it to you...all those shipping costs make it so I don't get much, but if it's the most convenient for you, feel free to order whichever way is best for you! Again, it's digital for the Kindle readers too! I am always seeking kids education blog for kid menu books and its help to build student resources as well for kids. Thanks for sharing easily.